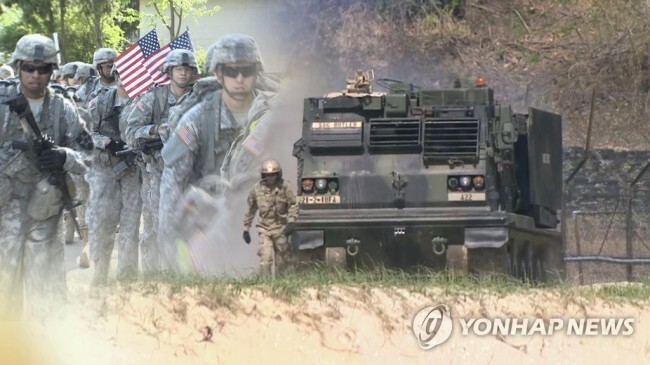 Defense cost-sharing negotiations between Seoul and Washington appear likely to remain tense following an unexpected suggestion from the US that the two sides sign a one-year agreement. In their latest round of talks earlier this month, the US negotiators suggested signing a defense cost-sharing deal that would remain valid for only a year, a diplomatic source said Friday, as Washington seeks a new approach to sharing defense costs with its allies. Seoul is said to have rejected the idea. The US is planning to engage in defense cost-sharing negotiations with Japan and the North Atlantic Treaty Organization next year. Analysts say the US might want to renegotiate the agreement with South Korea on better terms based on its agreements with NATO and Japan. South Korean negotiator Chang Won-sam and his US counterpart, Timothy Betts, have held 10 rounds of talks since March on the renewal of the Special Measures Agreement, which is set to expire Dec. 31. Under the current five-year contract, South Korea pays about 960 billion won ($848.8 million) per year for the stationing of more than 28,500 US troops here. The two sides have negotiated how much South Korea will pay for the US Forces Korea troops stationed here; how long the agreement will be valid; how sharply costs will increase every year; and whether Seoul will financially support Washington’s deployment of strategic assets here. The most contentious point is the amount of money Seoul has to pay. The prospects of the negotiations appear grim for South Korea, as US President Donald Trump is stepping up his calls for his allies to pay an increased share of US defense costs. Addressing troops at an air base in western Iraq late Wednesday, Trump said, “We’re no longer the suckers, folks,” defending his decision to withdraw roughly 2,000 troops from Syria. On Monday, he tweeted that the US was “substantially subsidizing the militaries of many very rich countries all over the world” and that its allies were taking advantage of the US and US taxpayers. Trump is demanding that South Korea pay as much as double the current amount, equivalent to $1.6 billion per year for the next five years, according to media reports. Since 1991, the allies have held talks to draw up special-measures agreements on how the allies should share the costs of stationing USFK troops to support their stable presence here and defend South Korea against North Korea’s military threats. The talks cover three areas: payroll, construction and logistics.